Nathan Ticatch, co-founder of our predecessor, is responsible for formulating and executing our business strategy and for managing the operations and commercial activities of the Partnership. Mr. Ticatch is the originator of the PDH project idea and has had a key role in the development and execution of the plan to develop the facility now owned and operated by the Partnership. 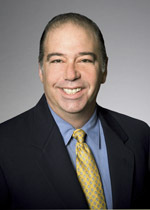 Mr. Ticatch has been affiliated with Lindsay Goldberg since 2000, during which time he has worked on a number of investment opportunities in the petrochemical and energy mid-stream industries including Lindsay Goldberg’s prior investment in PL Midstream which he helped initiate and most recently served as Vice-Chairman. Prior to his affiliation with Lindsay Goldberg, Mr. Ticatch worked in the petrochemical and logistics industry for GATX Terminals and ICI Americas. He is a graduate of Virginia Polytechnic Institute and State University with an engineering degree and received an MBA from the College of William and Mary. Mr. Ticatch’s record of innovation in the petrochemical and logistics industries provides the critical capabilities that the board of directors of our General Partner needs to manage our business.